Early September, CP7 researcher Teun Baar from Océ Print Logic Technologies visited the University of the West of England as part of his secondment. During the secondment, relief stamps were made for the application of relief printing. 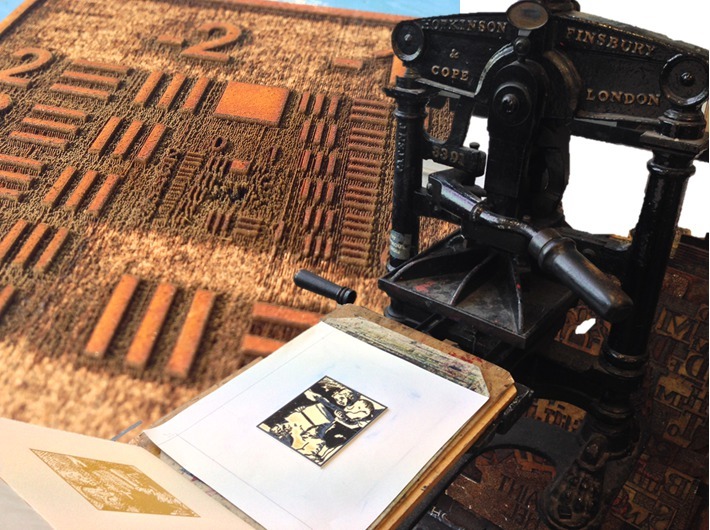 The stamps were created using 3D printers and wood engraving machines. The aim of the research was to compare the limitations and advantages of each of the processes and suitability to creating Chiaroscuro relief prints.